Sr. Megan Rice, one of three arrested for breaking into a nuclear facility in Tennessee in 2012. She was 82 at the time. Photo by Shawn Poynter for the New York Times. A nun at my lunch table described a “shakedown.” A “shakedown” is when the prison guards raid your cell block to search for contraband. They might rummage through your bedding, turn out your pockets, conduct outright strip searches, the whole nine yards. I was eating with several sisters who worked in social justice fields. I found that most if not all of them had gone to jail for civil disobedience. One mentioned the name of a prison. She asked the nun next to her: “That was your prison, right?” Her neighbor confirmed that it was, in fact, her prison. Another sister related how she was part of a group of defendants. They gathered to receive their sentences: jail time and a several thousand dollar fine. The judge said he would waive their fines, but they had to promise to never trespass again. All of them, including the sister, refused. They all paid. The nuns talked about their experience of jurisdictional differences in various cases. Sometimes the feds would get you. Sometimes the city or the county would nab you instead. I ate my remarkable lunch one month after an “unprecedented and highly controversial Vatican investigation of every community of Catholic sisters in the United States that began with criticism of nuns as having a ‘secular mentality’ ended Tuesday [Dec. 16] with a report full of praise, and without any disciplinary measures or new controls,” as John Allen, Jr. wrote at Crux. That’s good. It could have been, and I think almost was, much worse. But even so–as was highlighted by my mental juxtaposition of the Vatican report with the accounts I heard over my cheese sandwich–there is a great, multidimensional divide in the church. And that divide is not only between sisters and the hierarchy, or women and men, or the rest of us and the Vatican, though each of these constitutes a cavernous open sore. That would be remarkable, indeed appalling. After all, our faith centers on someone who practiced civil disobedience, got arrested, and then received the death penalty from a judge. This entry was posted in Hierarchy & Laity, Peace & Justice, Women & Gender and tagged Catholic Church, Social Justice, Vatican, Women Religious by Justin Sengstock. Bookmark the permalink. 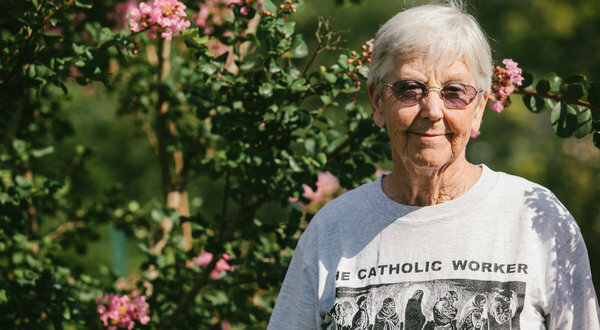 My mom was ready to dismiss Pope Francis despite all the hope surrounding him when she found out he didn’t “call off” the investigation of the American sisters. I said that he probably didn’t do so because he didn’t want to disrespect something Pope Benedict had put in place by not seeing it through. I reserved judgment until I heard what came out of the investigation. I’m so glad I did. I just sent the full document to my Kindle to read it start to finish later.